We have seen a number of impressive user made Minecraft models of real life objects and structures in the past, from a meticulous recreation of Apple's headquarters to a model of Jurassic Park from the 1993 Spielberg film, just to name a few. But for the last year or more, computer science PhD student, Christopher Mitchell has been taking the idea to whole new level with his 1:1 scale Minecraft model of Manhattan. 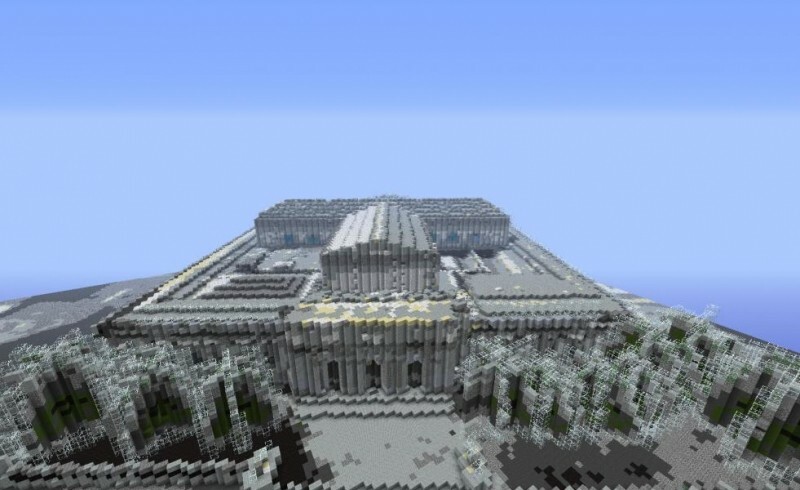 Mitchell began posting about the massive undertaking about a year ago, with images of Minecraft replicas of various Manhattan buildings and landmarks, including the one you see above. With help of some serious processing power, Mitchell is tapping into various databases like Google’s 3D Warehouse (among other things) to slowly recreate a blocky replica of the entire island. In a magazine article Mitchell wrote about the project, he explained the technology he uses to help replicate the various structures of the city, a system he calls "SparseWorld." Mitchell said it uses "orthoimagery, bathyspheric, and elevation data from the USGS EROS service, and 3D buildings from Google’s 3D Warehouse." The system basically lays Minecraft blocks over existing virtual structural data taken from the various sources to create the models. The issue is that certain structure data either just isn't available or isn't of a good enough quality on Google’s 3D Warehouse for him to use. Mitchell said that data from places like Google Earth and Maps as well as possibly Bing and Nokia's former map system Here.com could assist him in finishing the project, but he is yet to find a way around the user license restrictions on these services in order to make them usable. Mitchell's current SparseWorld generated version of Minecraft Manhattan is currently running at 277 square meters in size with a number of the major landmarks in place. Even though there is still a lot of work to do on the map, the current version requires a 300 core cluster with 200GB of RAM to render. While generally just something impressive to look at for most of us, there are some interesting implications for how game worlds and things of that nature could be created in the future with SparseWorld-like tech. While many gamers would prefer the artistic touch of, for example, the Rockstar designers, it is an interesting thought that we could see full scale, procedurally generated game (virtual) worlds based on real world places using technology of this nature in the future.